I have a thing for Gallery Walls, it's one of my favorite decor statements in my home...... It's like adorning a blank canvas with a myriad of things that capture your personality and the things you love. From quotes to whimsical figures and from DIY projects to faux doorknobs, the adventure of buying the wall decor to curate your gallery is just a bonus to housing the masterpiece in your home sweet home. First... you start with a blank wall. Curating your gallery could get pricey if you just go out one afternoon and purchase everything you think you might want. I suggest taking a bit of time, so that the pieces you put up really resonate with you. Hobby Lobby and Etsy are gold-mines of fun goodies, so are stores like TJ-Maxx, Marshalls, HomeGoods, Pier 1, Target, etc. 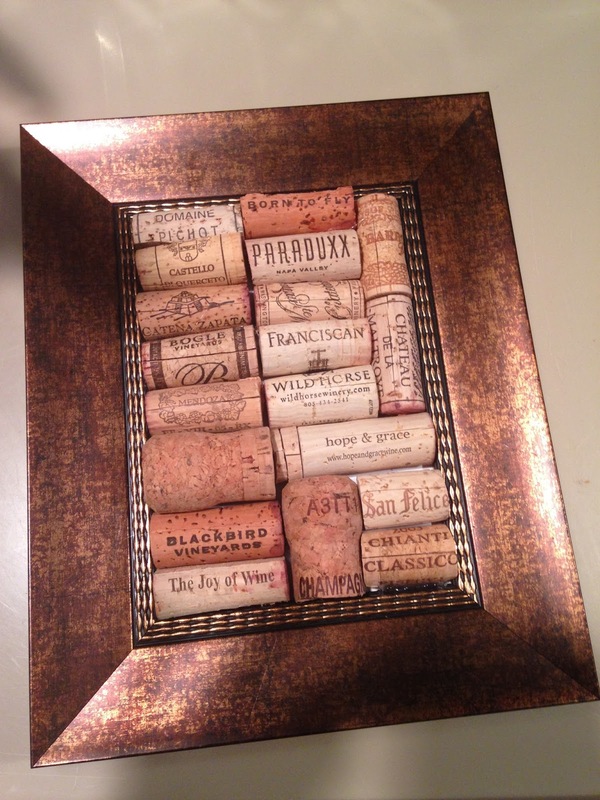 You can also score fun things at thrift stores, Peddler's Malls, etc and repurpose them with a little DIY flair. On my wall, I have empty frames with other items inside hung inside them, or with corks or flowers made out of a vintage dress pattern or scrapbook card stock. Once you've laid out your initial plan, start from the middle and then work outwards... I would also recommend that if you aren't the greatest at hanging things or if you want to stand back and make sure you get things where you want them, enlist someone else's assistance. I know I was an annoying project manager and it took us hours, but I really appreciate your help. Mom and Dad, you are hangers extraordinare. Once you're finished, step back and appreciate your gallery wall. Thank you vaulted ceilings for adding a little heightened drama to my gallery wall. Note: My wall also originally ended at the lamp, but I recently added the the vertical key piece on the left, and the last column on the right.